That’s the message for the day. 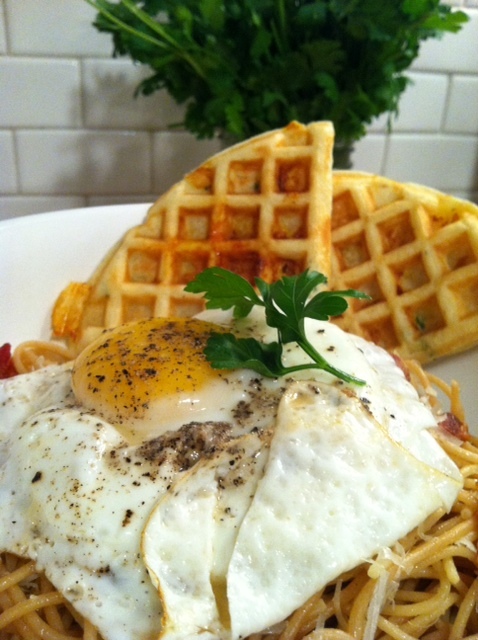 Over easy eggs tend to make everything better. 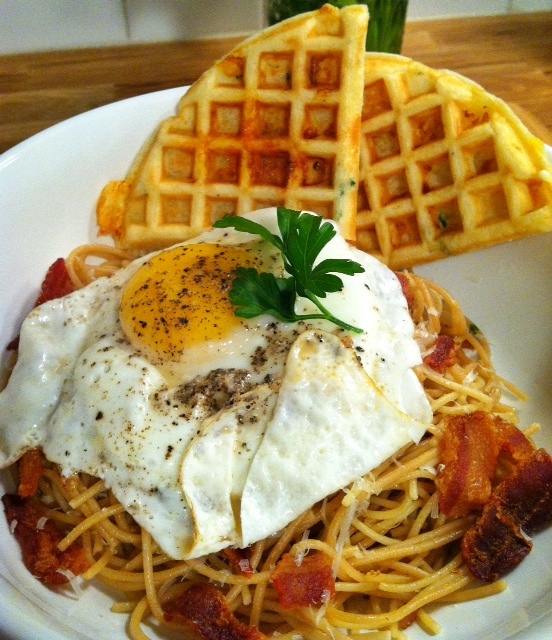 I like them on salads, burgers, breakfast of course, grilled cheese sandwiches and today we are putting those eggs on pasta and we are loving it. We are, trust me. 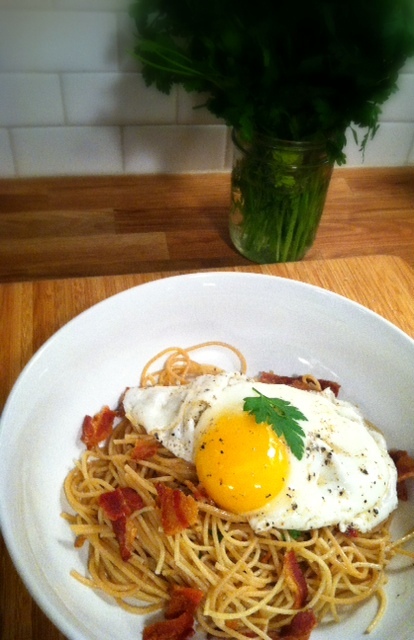 This fast meal seems a little like breakfast but tastes like dinner for sure. Breakfast for dinner isn’t my favorite way to do the last meal of the day unless someone in my house is sick. Then it’s a must. Oh and the waffles? 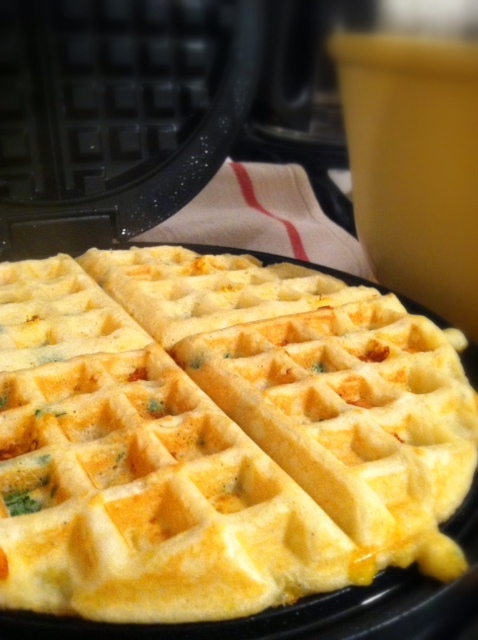 Have you ever had savory waffles? If not, you must-they are bee’s knees. In a skillet heat the 1 tablespoon of reserved bacon drippings over medium low heat. Add minced garlic and cook 1 minute. Add cooked pasta to warm throughout. Season with salt, pepper and fresh parsley. Divide into bowls. Meanwhile, spray another nonstick skillet with cooking spray. 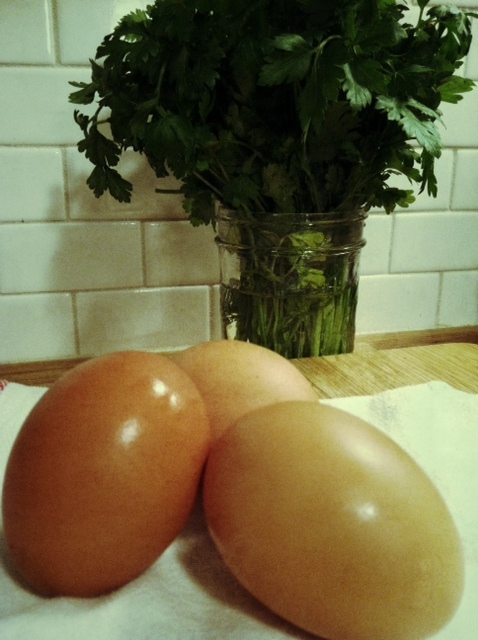 Crack eggs (i have to do this one at a time), keeping yolks in tact, into pan. Sprinkle with salt and a few grinds of pepper. 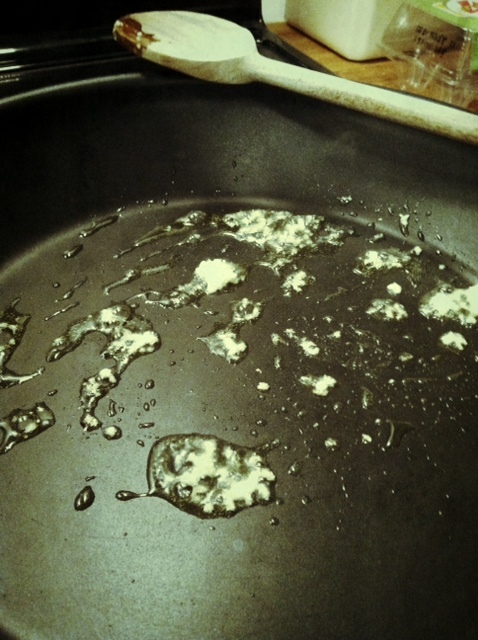 When the whites become white but yolk is still not cooked add tablespoon of water to the pan and cover with a lid. After 30 seconds remove the lid. Yolk should still be runny. 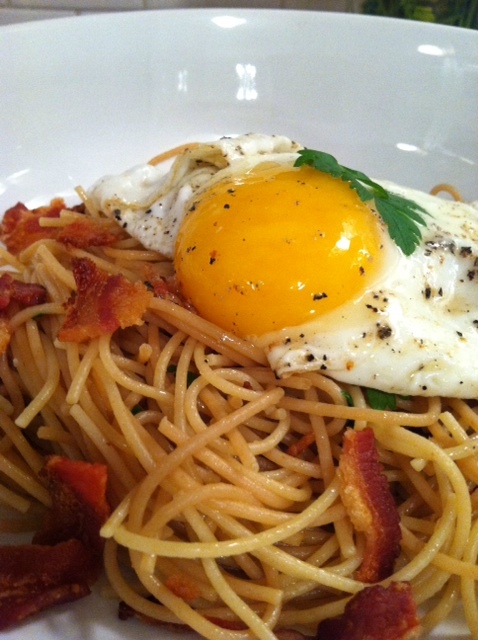 Lay one egg over each bowl of pasta. Poke a hole in the egg to release yolk and create sauce. Top with parmesan cheese and crumbled bacon. 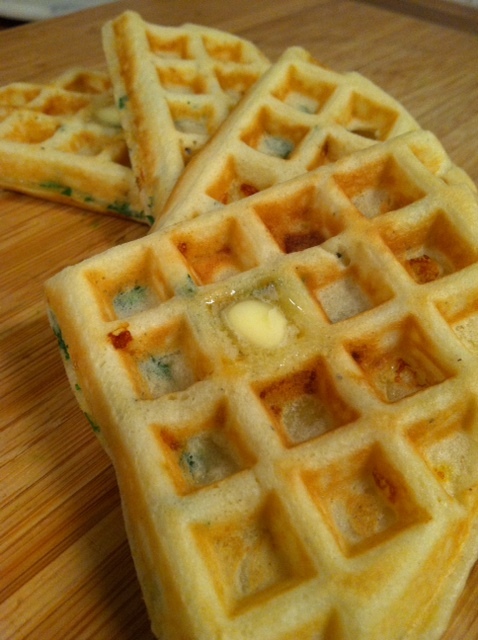 Serve with waffles. In a small bowl combine egg, milk and oil. In a large separate bowl, combine flour, baking powder, sugar, a few twists of pepper and salt. 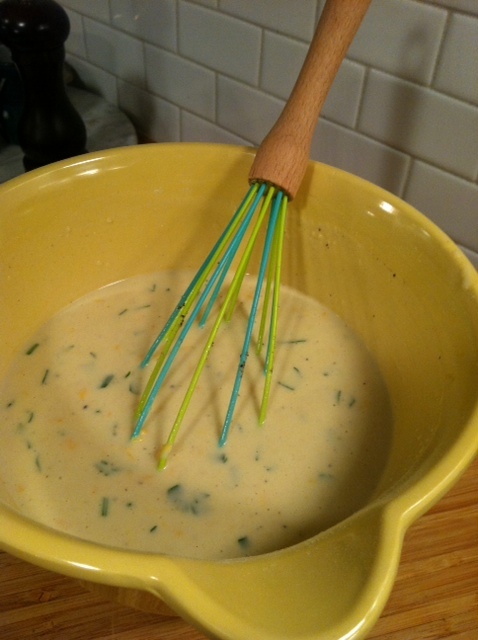 Pour liquid ingredients into dry ingredients until just blended. Do not over mix. 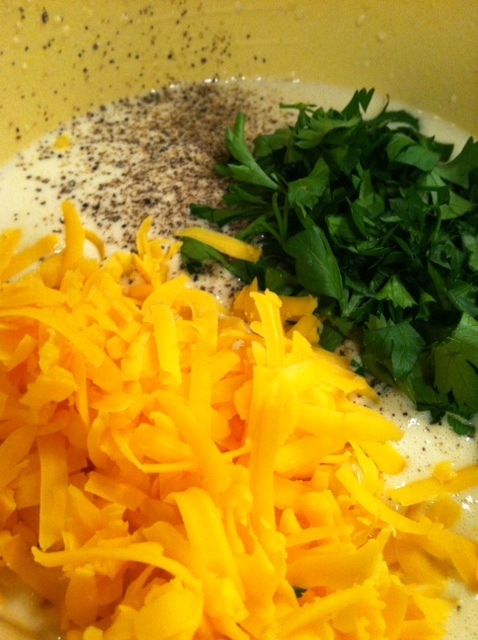 Fold in parsley, cheese and shallot. With a 1/3 cup measure, cook in waffle maker. One word for this meal…AMAZING!! !